About – Paul Brothers Inc.
Paul Brothers, Inc. (PBI) is third generation, women-owned construction company, licensed and registered in the state of Oregon and Washington. 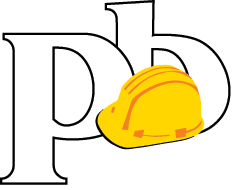 Specializing in public works contracts, PBI was founded over 50 years ago as a General Contractor. In addition to being a General Contractor, PBI also owns and operates Alpine Nursery, farming 50 acres of land in the Boring, OR area. Alpine Nursery specializes in growing finish-grade landscape materials (trees, shrubs, ground covers) and operates as a division of PBI. PBI has many strengths, not the least of which are our employees. The longevity of employment in our key personnel is critical – we rely on their experience and expertise in successfully completing a vast array of projects. Whether constructing a ballfield complex, overseeing a large highway landscape and irrigation project, overhauling a city park, constructing interurban trails, incorporating bioretention swales in neighborhoods, PBI has a long track record of excellent construction operations. Our crew, both on the job and in the office, has many years of experience trouble-shooting and taking a project from beginning to end with great diligence, discipline and follow-through. PBI has done projects both as a General Contractor as well as a subcontractor. As the General, we have the experience of dealing with public agency requirements, be they state, federal and/or local municipalities. 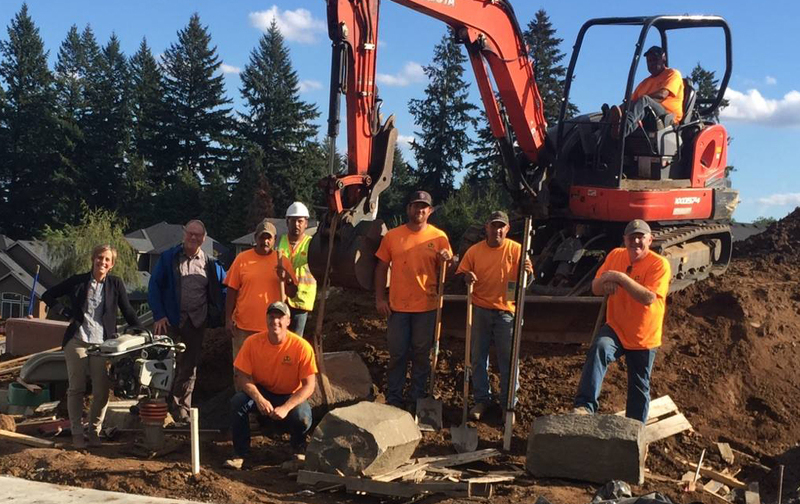 As a subcontractor, we have worked with, and for, some of the largest contractors in the west as a landscape specialist, earning their respect along the way. We are proud of our work and the value it has given to the communities and agencies we have served. As a third generation, women-owned business, we take family seriously and it shows in our how we do business. We strive to go above and beyond an Owners expectations with our skills, knowledge, work ethic and honesty. Peggy, employed for over 16 years, serves as President of the Corporation and oversees much of the company operations, vision and direction. Peggy’s strong organizational, communication and leadership skills are critical as her day-in, day-out operations of the business. She maintains working relations with all Owners and Subcontractors on the jobs, serving as Project Manager, as well as relations with key individuals outside the company. Facilitating timely and orderly records for all projects, Peggy works hand-in-hand answering the constant questions that arise with daily activities. Peggy oversees all submittals, Certified Payroll documents and any other manuals, plans and job close out materials. Having worked for years as a manager in the field of nutrition science before coming to the family business, Peggy traded dietetics for construction with eagerness. In her spare time, she likely has a pair of running shoes on…or hiking boots…and on various active adventures with family. Scott has been an active leader for Paul Brothers, Inc., for over 30 years and has served as an officer for over 20 years. It is a role he is well suited for, having been groomed by Cliff Paul, his father and founder, whom he worked closely for many, many years. Scott is involved in all personnel decisions, job-bidding, overall company focus and direction and works closely with all clients and owners of our projects. He defines hands-on and embraces a leadership style that is trustworthy, knowledgeable with a work ethic like no other. He also oversees the staff, plants and land that encompasses Alpine Nursery, a wholesale nursery that farms 40 acres in Boring and specializes in conifers and shade trees. In his spare time, Scott is often found with a fishing pole in his hand on whatever body of water in which the fish are biting. After spending time after college working as a Project Engineer for a large CM/GC on several multi-million dollar projects, Joey opted to trade hours at the computer for a more hands-on position with Paul Brothers. Joey joined the family business in 2015 and brings a wealth of experience along with a degree in Construction Management Engineering from Boise State University. Joey wears many hats, from assisting with scheduling and bidding to field engineering and team management, he thrives in an active and hard-working environment. Joey is a huge basketball fan, fisherman, marathon runner and enjoys time with his wife, family and friends. Bill has been employed by Paul Brothers, Inc., for nearly 30 years, serving as a Superintendent and site manager on countless job sites. He has experience working on very large jobs ($3.0 million+) as well as smaller projects, always balancing the needs of the project Owner with those of his crew. Bill’s specific area of expertise is in the area of excavation, irrigation, landscaping and water systems, though he has skills far beyond. He thrives in an active, busy, multiple-pronged jobsite. Bill’s spare time is mostly spent thinking about work and irrigation…and fishing. Dave has been a pivotal employee of Paul Brothers, Inc for over 20 years. Dave’s responsibilities are many, managing multiple facets of labor and industries relations, insurance, bonding, banking and accounting relations, as well as project bidding, scheduling and estimating. Dave works closely with project Owners when compiling pay estimates, change orders and job cost accounting. Dave’s education background in accounting and finance are invaluable to PBI. Dave is an avid reader, gardener, and enjoys perfecting his bbq skills. Hector has worked for Paul Brothers, Inc. since he was a teenager, now a seasoned veteran and a most valued Site Foreman. His skills as an equipment operator are unmatched, as are his skills at site layout, grading, scheduling and safety. He can efficiently and effectively manage a crew, interact with site Owners in a highly productive manner. Hector enjoys fishing, hunting and time with family. Rafael came to Paul Brothers, Inc. in the early 1990s and has worked in every facet of the industry. His knowledge, dedication and excellent work ethic make him a most valued employee in the field. He is an excellent equipment operator, Site Foreman and has a remarkable ability of solving problems and value engineering when faced with site challenges. Rafael fills his spare time with family and friends.